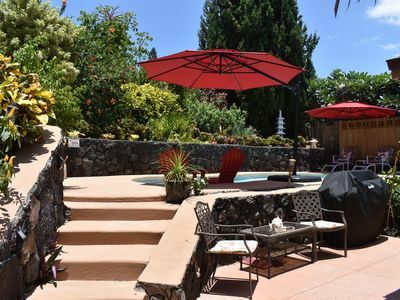 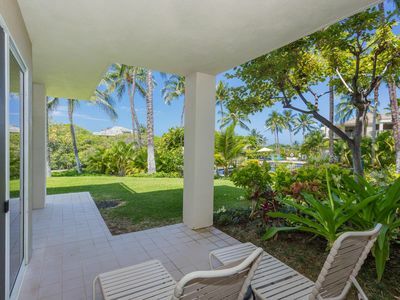 This beautifully updated house has everything you could need on a vacation, including 180 degree ocean views complete with unobstructed sunsets. 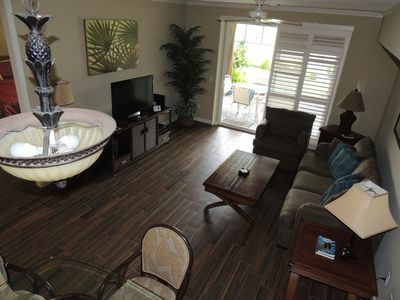 There are three very comfortable bedrooms, including a master suite that has a pull out sofa bed. 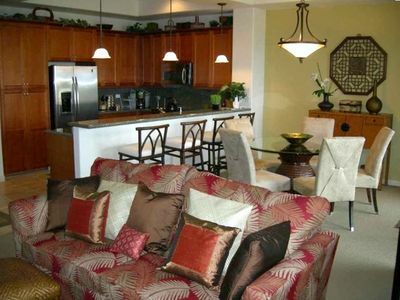 This house has a two car garage, a washer and dryer, and is turn key furnished and ready for you to enjoy yourself. 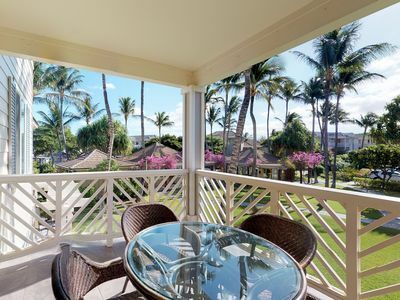 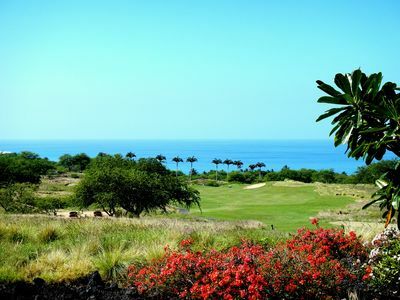 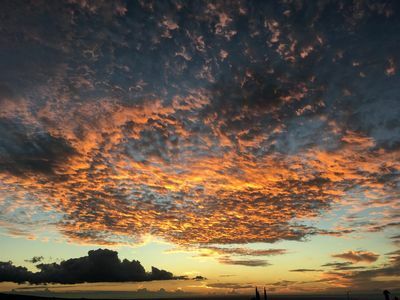 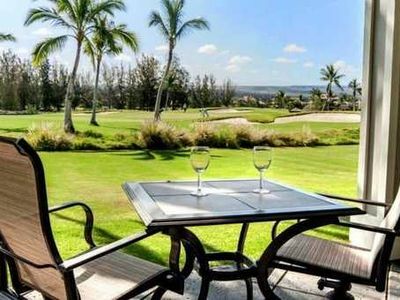 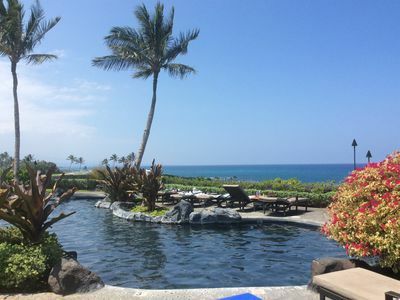 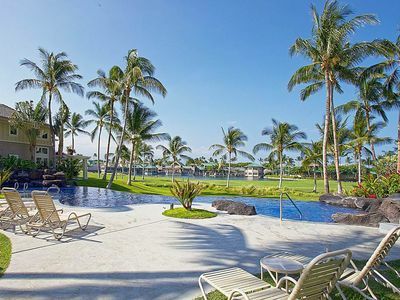 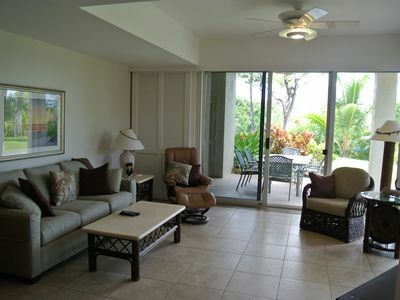 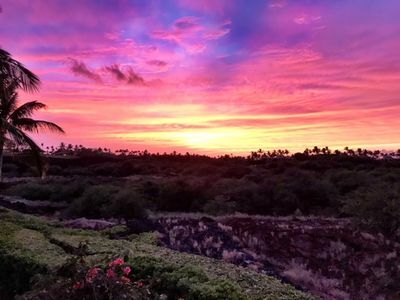 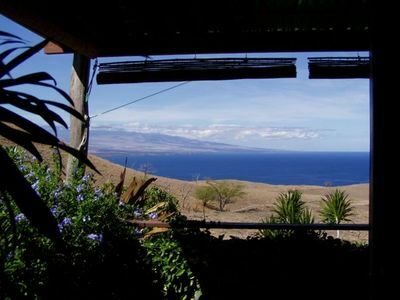 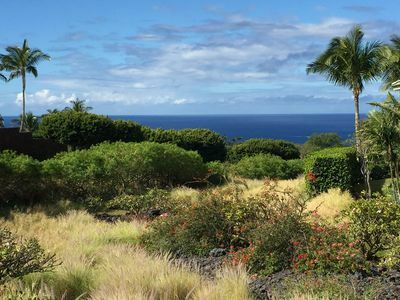 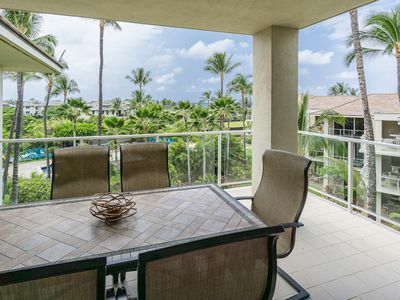 It is located in Waikoloa Village, close to restaurants, shopping and only a ten minute drive to the nearest beach. 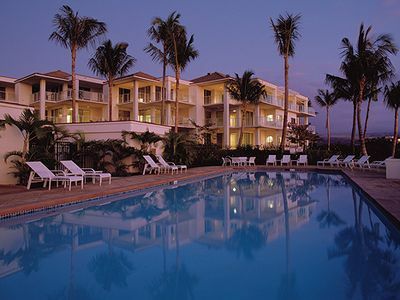 OCEANFRONT & GOLF resort! 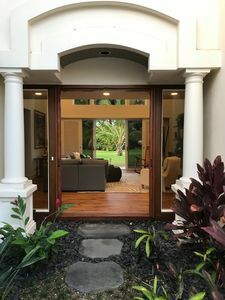 LAST MINUTE SALE! 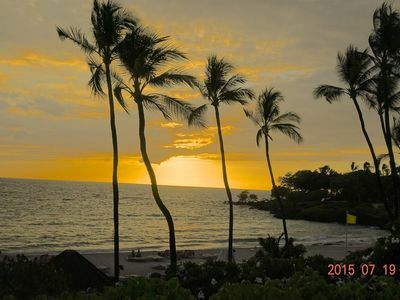 Hali'i Kai "Wish-We-Were-Here!" 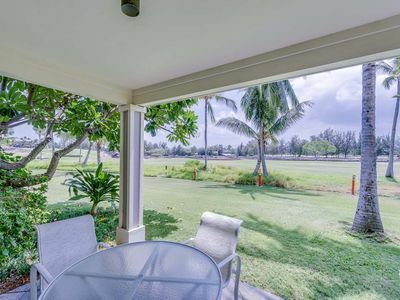 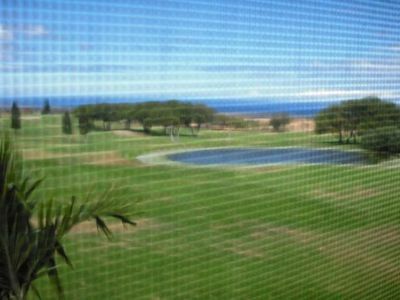 Golf course-front condo w/ lanai, AC & shared pool/hot tub/open-air gym!